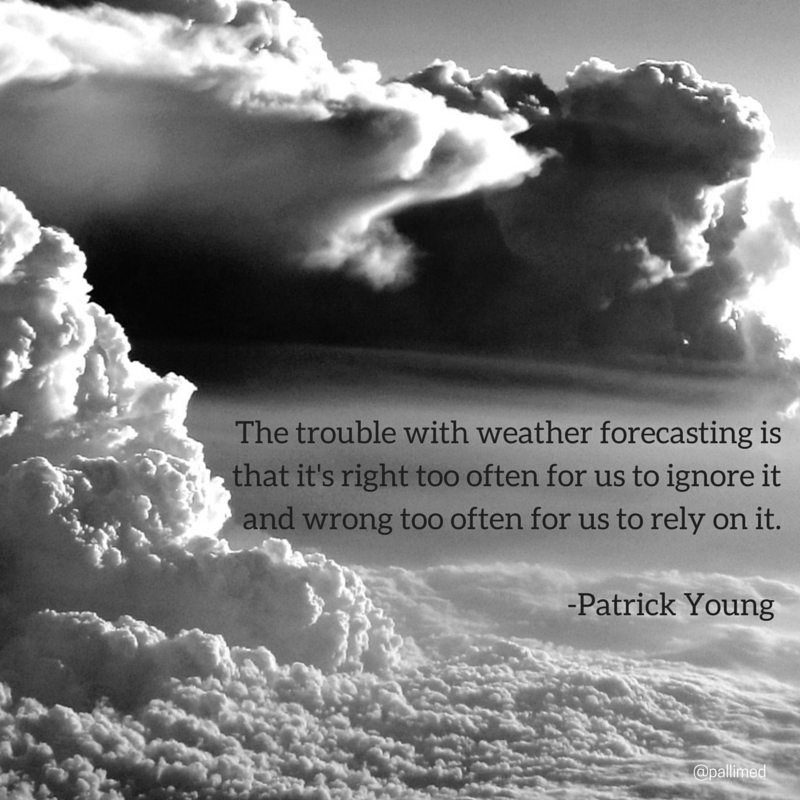 When we turn on the news or listen to the radio to hear what the meteorologist is predicting the weather will be, we don’t usually call this ‘the day’s weather prognosis’. We use the term forecast, and yet a forecast is essentially the same concept of what a prognosis is. Predicting the weather and predicting the outcome of a life limiting disease may carry the same foundation, but they differ vastly on their accuracy. Weather forecasting has an overall accuracy for temperature determination (give or take a few degrees) of 85%. A medical prognosis, however, regarding how long someone has to live (give or take a few days or weeks) is usually only accurate 20% of the time, and actually 65% of the time doctors overestimate prognosis by a factor of 3-5. Yet so often patients who have a terminal disease leave the doctor having latched onto a prognosis as if it’s as guaranteed as an expiration date on grocery goods. Many factors go into misinterpretations of prognosis. I’ve mentioned overestimation, but research also shows that the longer a doctor has taken care of a patient or the more they know that patient, the more they overestimate. Besides overestimation, another challenge is how doctors even approach prognosis. Often doctors will use something called the median survival rate when discussing prognosis. Patients get this confused with average. Median, however, is just the middle number of a range. If a doctor says, the median survival is 6 months, that means half of the people with that disease die before 6 months. What median doesn’t tell us is, of those people who died before 6 months, did most of them die in 1 month or 5 months? That’s a big difference! One thing doctors don’t do well is to discuss the worst-case scenario along with the best-case scenario. They assume it’s too depressing to talk about bad outcomes with the patient. While sometimes during prognosis talks patients are shocked, retreat into their brains, and can’t listen to the prognosis, often times patients are waiting for doctors to initiate these tough discussions. One suggestion that can help with both these problems is to have the doctor actually write out the worst-case prognosis, the best-case prognosis and the most likely prognosis. What can be very challenging is that many prognoses have a very wide range of possibilities. Some cancers carry the possibility of dying in 6 months or living out the rest of your life essentially cured. It’s the same as if a meteorologist announced that for tomorrow’s forecast the possibility was for snow, or maybe rain, but also could be hot and sunny. If you were traveling to a location like that, you’d pack for the extremes, wouldn’t you? This is how we need to treat prognosis as well. Prepare for the extremes. 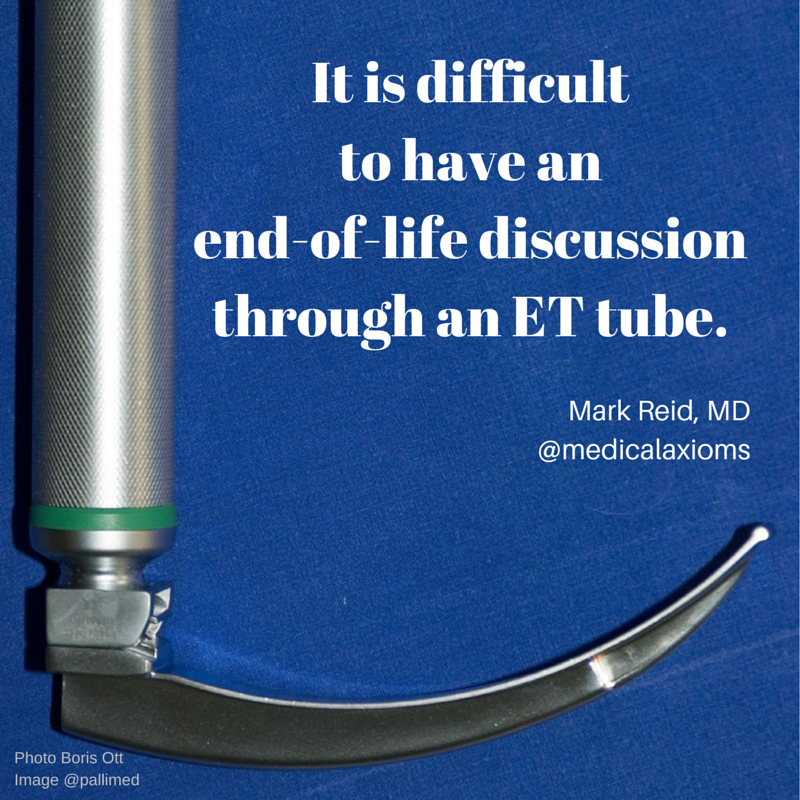 A good prognostic conversation should do this; explore the extremes so that you can plan. The next time you hear a prognosis think of it as a forecast, but one with only 20% accuracy. Also, be sure to ask for the worst-case and best-case extremes, it will help you prepare for the journey. Ms. K is an 75 year-old woman with peripheral vascular disorder who presented with acute onset of a cold, painful, blue lower extremity and was diagnosed with an arterial clot. In discussion with vascular surgery, she was offered amputation and after consideration she declined surgical intervention and chose to focus on comfort only. Palliative Care was consulted for assistance with comfort measures, given a likely prognosis of a small number of days. The patient’s daughter had been present for Ms. K’s conversation with the surgeon and understood that foregoing amputation would mean her mom would die soon. Ms. K’s daughter supported her mom’s decision and felt it was consistent with her overall values; the daughter expressed distress because this was happening in addition to the loss of her own husband, which continued to occupy her thoughts a great deal. The daughter relayed the story of their close relationship, his terminal decline, and his ultimate death, in vivid detail. In further exploration, it surfaced that his death had actually occurred several years ago, and that Ms. K’s daughter had struggled a great deal with functioning since then. Different people respond to the death of someone close to them differently, and a wide range of responses can be referred to as “normal.” Significant distress is common, and can be emotional, spiritual, cognitive, physical, and/or behavioral in nature. Some commonly-described reactions include: experiencing waves of strong feelings; disbelief that the person has died; somatic symptoms such as insomnia, palpitations, or changes in appetite; and perceptual disturbances such as visual or auditory hallucinations, or constant preoccupation with the deceased (Strada 2013). Labeling these experiences “normal” does not in any way imply that it will feel normal or comfortable for the person who is grieving. Nonetheless, for most people (90% or greater), this process will evolve over time into what is referred to as integrated grief, in which “the reality and meaning of the death are assimilated with a return to ongoing life” (Simon 2013). Sadness and longing may still be present, though less intensely, and the bereaved is able to have other activities at “center stage” for much of the time. In integrated grief, symptoms may feel amplified at certain times, such as anniversaries or holidays. For most people, a transition to integrated grief occurs within 6-12 months of the death (there is still some disagreement in the literature about exact timeframe). Behavior change: Over involvement in activities related to the deceased or excessive avoidance. In screening for pathologic grief in your patients, consider the use of the Brief Grief Questionnaire, a 5-item tool scored on a 0-2 Likert scale (‘not at all,’ ‘somewhat,’ ‘a lot’). A score or 5 or higher warrants referral to a mental health professional (Shear 2006). How much of the time are you having trouble accepting the death of _____? How much does your grief interfere with your life? How much are you having images or thoughts of _____ when he or she died or other thoughts about the death that really bother you? Are there things that you used to do when _____ was alive that you don’t feel comfortable doing more, that you avoid? How much are you avoiding these things? How much are you feeling cut off or distant from other people since _____ died, even people you used to be close to, like family or friends? An intervention should be considered if a person has persistently high symptom severity, lack of temporal improvement in the grief response, functional impairment, treatment-seeking behaviors, hopelessness, and/or suicidal thoughts or behaviors. Complicated grief may co-occur with other psychiatric conditions. In a recent multisite randomized controlled trial conducted by Charles Reynolds and his colleagues, two-thirds of the 400 complicated-grief patients enrolled also had major depressive disorder, and one-third had PTSD (Simon 2007). Dr. Reynolds notes the significance of these “strong, complex patterns of co-occuring disorders” (personal communication). If a patient has persistent negative affect, endorses anhedonia, and/or suicidal ideation, appropriate treatment of depression needs to be considered. Treatment: Patients and caregivers who seem to be experiencing normal grief reactions should be offered supportive psychoeducation clarifying and normalizing characteristics of normal grief. Referral for local grief counseling is also appropriate. For more extended or severe grief studies are ongoing to establish the best treatments. There are randomized controlled trials supporting the use of cognitive behavioral therapy for prolonged grief (PG-CBT) and of an internet based therapist-assisted cognitive-behavioral indicated prevention intervention for prolonged grief disorder (Healthy Experiences After Loss, or HEAL) for prevention of PGD (Rosner 2014, Litz 2014). There are also studies supporting use of a targeted complicated-grief treatment (CGT) which is based on attachment theory and employs “techniques derived from prolonged exposure, IPT [interpersonal psychotherapy], and motivational interviewing.” A recent randomized controlled trial in elderly patients compared CGT to IPT, an evidence-based treatment for depression, and CGT showed significantly better outcomes (Shear 2014). The role for medications remains unclear, as studies have had mixed results. Patients who develop clinical depression or anxiety disorders as complications of grieving should be treated appropriately for those conditions with medications (such as SSRIs) and/or therapy. Ms. K’s daughter’s intense and persistent grief response to her husband’s death years ago appears to be consistent with a prolonged/complicated grief reaction. Though it might have been a feature of normal grief for her feelings to intensify with a reminder of the loss, such as her mother’s impending death, the history she provides of ongoing struggle over the last several years suggests complicated grief. Ms. K was transferred to an inpatient hospice setting for management of her pain and delirium. Prior to transfer, I made contact with the hospice agency who would be caring for her and her family to alert them to her daughter’s signs of prolonged grief from a prior loss. Hospice care will include 13 months of bereavement support for Ms. K’s family, and the agency’s bereavement counselor planned to contact Ms. K’s daughter prior to the death as well. Strada, EA. Grief and Bereavement in the Adult Palliative Care Setting. Portenoy RK, editor. New York: Oxford University Press; 2013. 118p. Simon, NM. Clinical Crossroads: Treating Complicated Grief. JAMA 2013;310(4):416-423. Shear KM, et al. Screening for complicated grief among project liberty service recipients 18 months after September 11, 2001. Psychiatr Serv. 2006;57:1291-7. Rosner R, Pfoh G, Kotoucova M, Hagl M. Efficacy of an outpatient treatment for prolonged grief disorder: A randomized controlled clinical trial. J Affect Disord. 2014;Oct(167):56-63. Litz BT, Schorr Y, Delaney E, et al. A randomized controlled trial of an internet-based therapist-assisted indicated preventive intervention for prolonged grief disorder. Behav Res Ther. 2014;Oct(61):23-34. Shear MK, Wang Y, Skritskaya N, Duan N, Mauro C, Ghesquiere A. Treatment of complicated grief in elderly persons: a randomized clinical trial. JAMA Psychiatry. 2014 Nov;71(11):1287-95. Many thanks to Bob Arnold and Charles Reynolds for valuable input in presenting this topic. 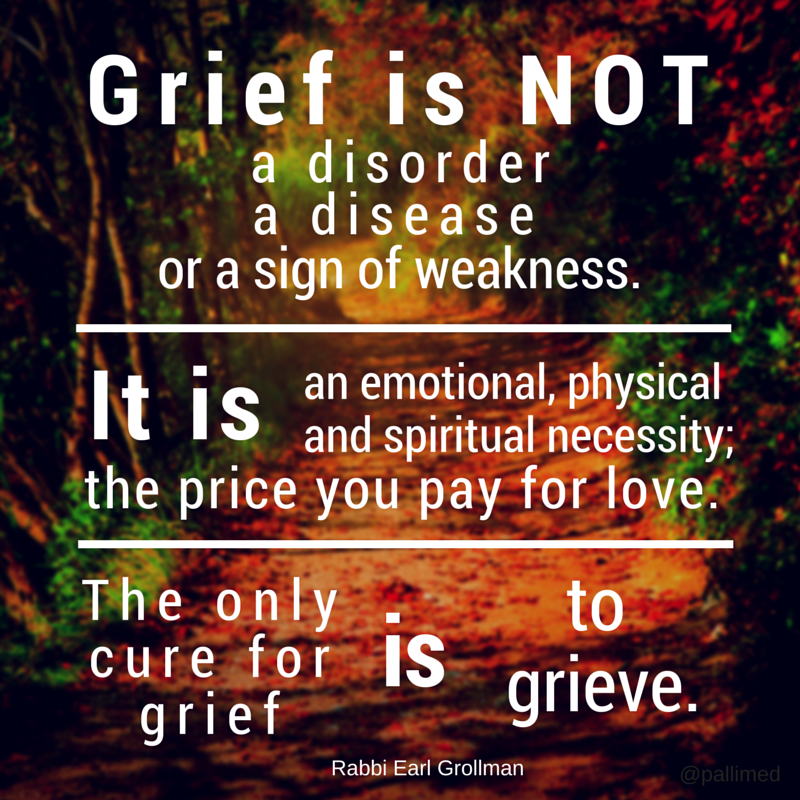 Image Credit: Grief is Not... Christian Sinclair for Pallimed. Image licensed via Canva. Just in time for the unofficial holiday celebrating marijuana (4/20), there is a lot more cannabis chatter. President Obama is expressing more support for decriminalization of medical marijuana. The new Surgeon General, Dr. Vivek Murthy, notes that in some medical situations 'marijuana can be helpful.' 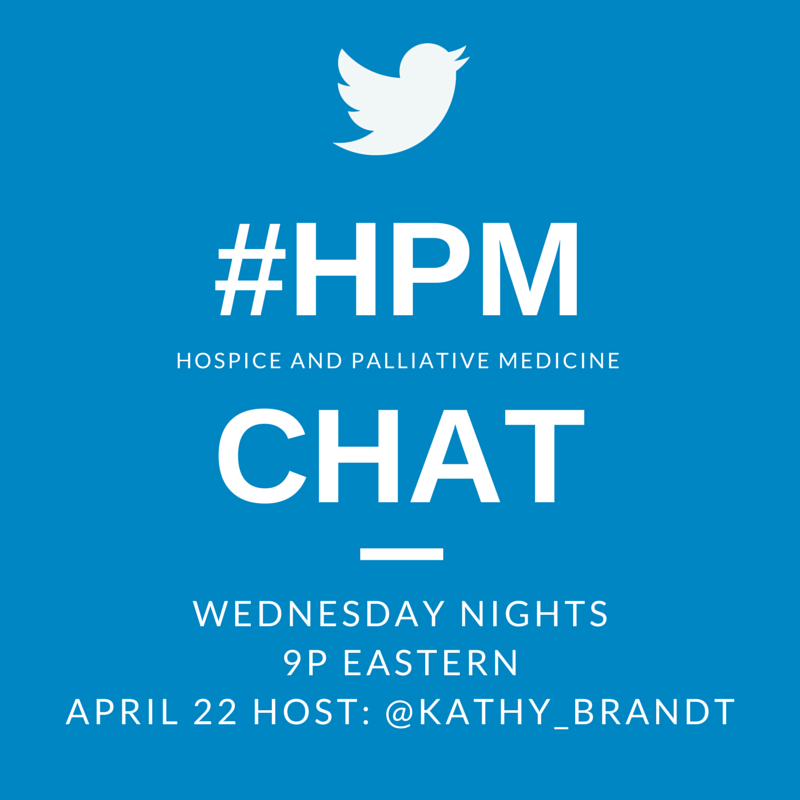 It made me curious to see what are hospice and palliative care advocates saying about the topic. Palliative care clinicians are often concerned about access to symptom controlling medications and therapies when it comes to relieving suffering. For example with opioids, you can hear clinicians advocate for access to these important medications, but also recognize the public health risk which comes from diversion and inappropriate/non-prescribed use. Similarly with integrative medicine, you may also hear people in hospice and palliative care advocating for access and use of massage, acupuncture, hypnosis, biofeedback, aromatherapy among others, even though the research may not be strong for any one particular complementary/alternative therapy. Yet when it comes to marijuana for symptom control, hospice and palliative care as a field is relatively quiet in comparison to these other areas mentioned above, in addition to being much quieter than the 'medical marijuana' and 'recreational marijuana' movements happening across the United States. In Kansas and Missouri, where I currently practice there are no current laws which allow for medical marijuana or recreational marijuana. In a quick search I found hospice organizations in Arizona, Colorado and Illinois advocating medical marijuana use for their patients. So, I'm wondering from those of you who work in states where there is either form of allowed cannabis use, do you see a different level of engagement (e.g., advocacy or prescribing) from local hospices or physicians that care for people with serious illness? Please share in the comments. If you would like to know more about what hospice and palliative care clinicians are saying about marijuana as an option for symptom control here are links I discovered while researching this post. If you have quality links, please share in the comments below and I will check them out and potentially add them in the original post. All links are open access unless otherwise noted. The research literature on marijuana use exclusively in hospice and/or palliative care patient populations is quite thin. Only 110 articles on PubMed with the search criteria of (palliative OR hospice) AND (cannabis OR marijuana) (only 82 in 2015). 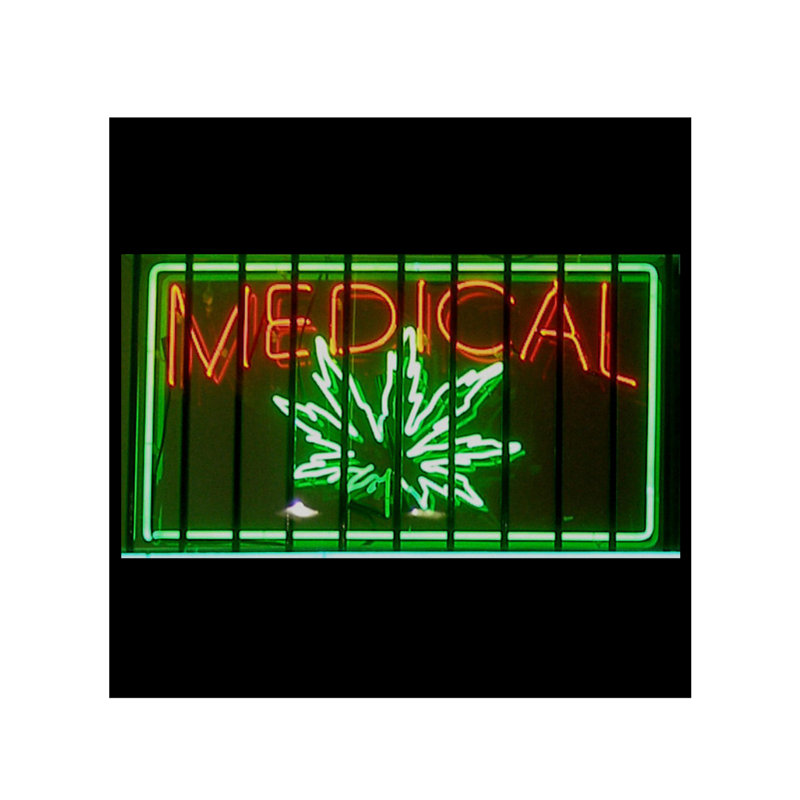 Medical marijuana is not without potential medical risk, especially in a population that may be seriously ill. There have been case reports of significant Aspergillosis infections of the lung in neutropenic patients, and it is not uncommon to see transplant patients (who are necessarily immunocompromised by their treatment) to be counseled against smoking marijuana expressly because of this reason. This post is not about taking a side, but instead a reflection on what are our (meta-)responsibilities as symptom control advocates. As we gain a larger foothold in the halls of our hospitals and our statehouses, like Oklahoma who recently passed (ACS-supported) laws that encourage more input from palliative care experts, we need to ask ourselves, "With limited time and resources, how do we help out patients best?" It seems like the medical/recreational marijuana movement has considerable inertia behind it when it comes to changing state laws. How do you think will this change our clinical practice, our fellow education, and our research opportunities? Christian Sinclair, MD, FAAHPM, is a palliative care physician at the University of Kansas Medical Center, editor of Pallimed, and president-elect of the American Academy of Hospice and Palliative Medicine. He has a significant interest in questions that don't always have clear answers and likes to be able to hear other people's opinions on challenging topics. 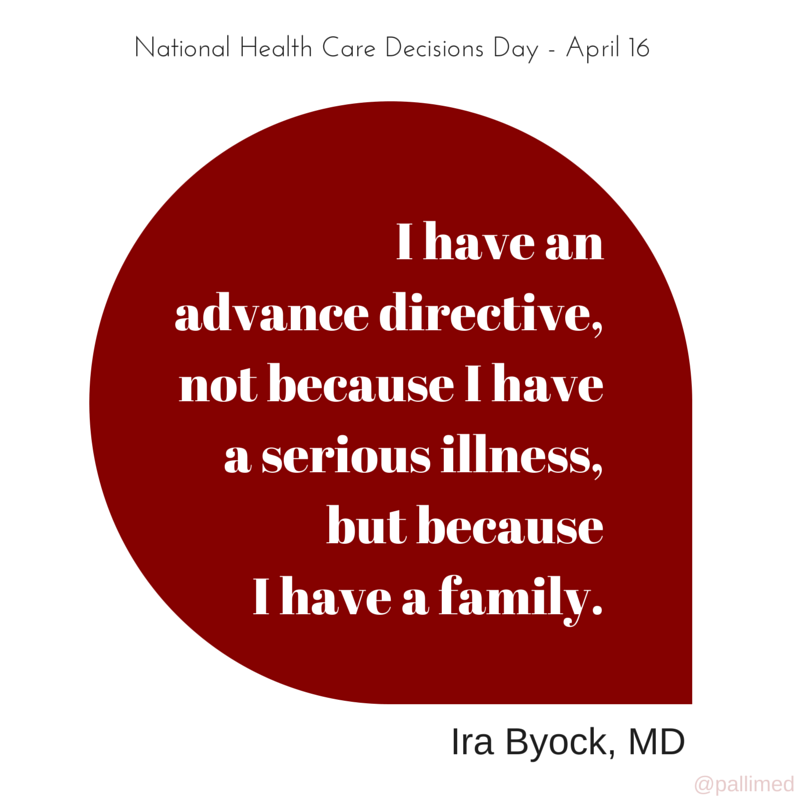 National Healthcare Decisions Day April 16, 2015: Putting philosophy into action! I try very hard to mean what I say, say what I mean and make sure that my actions and my words are in sync. I don’t pretend that this makes me unique in any way – I believe that there are many of us out there every day trying to live by this philosophy. Sometimes when we follow this philosophy, we can get others talking. Luckily, I was given the opportunity at Cleveland Clinic to take this philosophy to the masses on April 16th, National Healthcare Decisions Day. And I’ll bet you could do it at your institution too! There has been an interest at my organization over the last few years to make sure that patients are getting the type of care which they are seeking. One of the results of this interest was the creation of a task force to look into advance directive completion. After years of seeing April 16th advertised on Pallimed as NHDD, I figured this would be the perfect date on which to host a campaign! This brings me back to that initial philosophy. 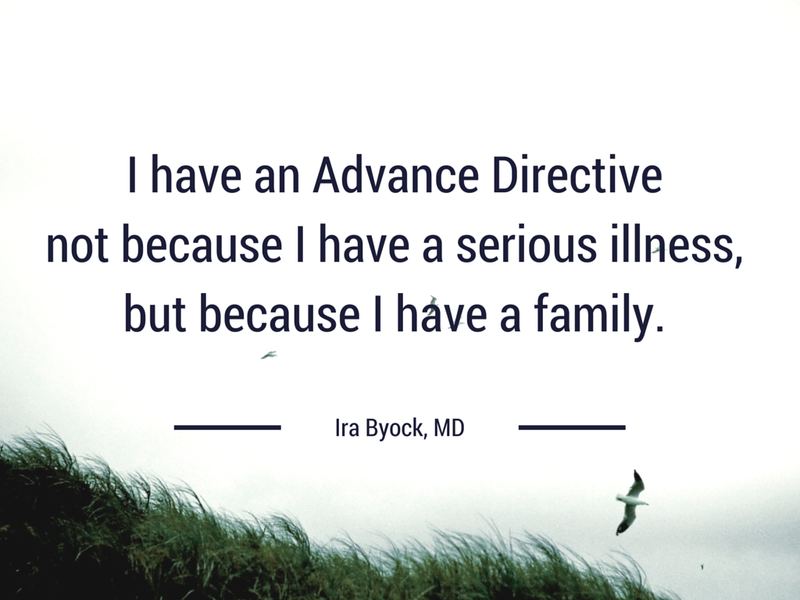 We decided that the best way to start talking about Advance Directives at Cleveland Clinic was to lead by example. It made sense that our caregivers would seek more complete information on AD if we made it personal to them. And we felt that the best way to keep the message simple was to start with Health Care Power of Attorney documents. Our campaign on April 16th is to encourage Cleveland Clinic caregivers to fill out their own HCPOA. Who better than the people working in healthcare to realize that life tomorrow may look completely different from life today? We’ve raised awareness about the event– caregiver to caregiver - we’ve created an online module for enhanced learning and we have the next event planned in our minds. 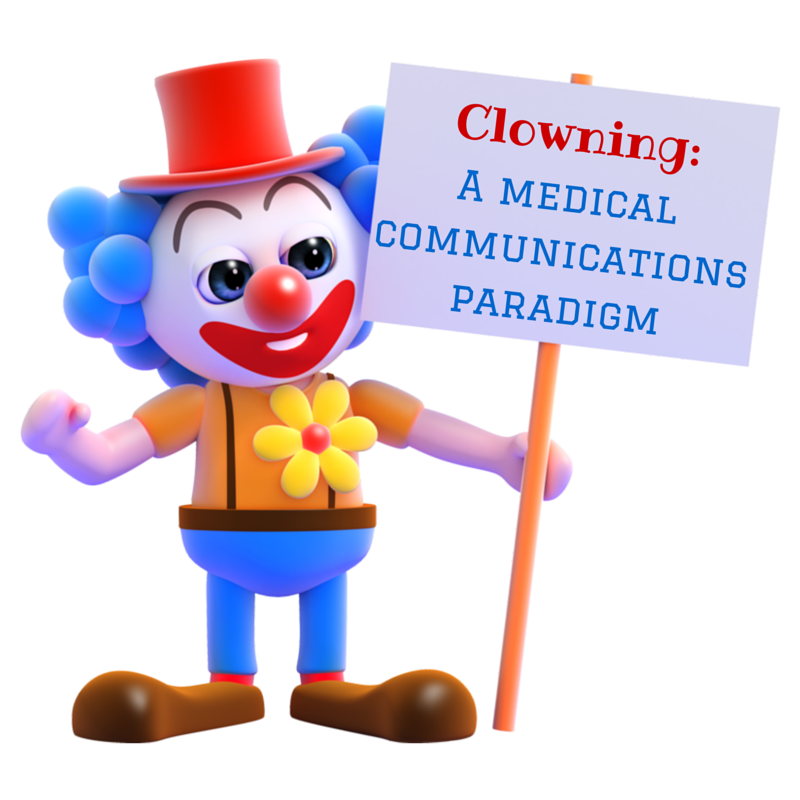 What I’m hoping the readers of Pallimed will take away is that I only had to propose this idea one time! It was fully supported and embraced by the institution. To underscore how supported this campaign is, our Chief of Staff will be signing his document at the event! I spoke to a group of Clinical Nurse Specialists about the event and before I left the meeting, they were asking if I could send references on how to have the conversation with their HCPOA. The woman who designed the AD online module told me that she will be coming to the campaign because she absolutely wants to have her HCPOA signed and a group of individuals from our media department said they were discussing the importance of advance directives through their lunch break. So what philosophy are you living by that you can bring to the masses? You may be surprised by the overwhelming support that your organization may have for you. Don't forget to check out Pallimed's advocacy resource page for NHDD 2015! Katie Neuendorf is a Palliative Care physician at Cleveland Clinic in Cleveland, Ohio. She spends a significant portion of her time in education, half of which is devoted to her role as the Medical Director for the Center for Excellence in Healthcare Communication and the other half in her role as an inpatient palliative consultant. Time away from work is happily spent with her husband and their 3 young kids enjoying the Cleveland Metroparks, playing all kinds of sports and repeatedly losing to a 4 and 6 year old at Connect 4. OK, you have finished your taxes, and now it is time to turn your attention to National Healthcare Decisions Day (NHDD), April 16th! Hopefully you have been well prepared and working on your organizations plan for NHDD long before today. But just in case you have not prepared, we want to share some of our collected resources on advance care planning. Who will speak for superheroes when they get sick? See all the Pallimed posts advance care planning over the last several years here. Individual images from Superheroes and Advance Care Planning slidedeck (ZIP FILE)- OK for reuse and social media posting with attribution to Pallimed. Make sure to stop by the Pallimed Facebook page for more fun and sharing! Social media images to share, please feel free to download and share any of the following images. Being a hospice and palliative care provider is challenging, rewarding, and important. But is it safe? I began to appreciate the answer while researching the topic to present in orientation. According to the National Institute for Occupational Safety and Health, and the Bureau of Labor Statistics, home health care workers face significant risks for serious illness, injury, and death. Each risk deserves our attention. Let’s look at driving to and from the patients and families we visit, because automobile accidents are the leading cause of death in home health care workers. Research conducted on behalf of the National Association for Home Care and Hospice (NAHC) found that in 2006 home care and hospice workers in the U.S. drove almost five billion miles to provide four hundred and twenty-eight million visits to nearly twelve million patients. The study showed that here in the Commonwealth of Massachusetts (God save it! ), home care and hospice workers drove 77,737,289 miles to conduct 13,182,930 visits – an average of 6 miles per visit in this geographically small but densely-populated state. That’s about the same as 162 roundtrips to the moon, or 80% of the distance between the earth and sun. Consider your own windshield time in the course of a normal day. Better yet, think about how you drive during those trips, and what other tasks you try to accomplish behind the wheel. Work by David Strayer and colleagues at the University of Utah finds that driving while talking on a cell phone increases the risk of an accident at least four-fold, equivalent to the risk posed by drunk drivers. What hospice clinician would even think about chugging a couple of beers between home visits? The research also shows it makes no difference whether we hold our cell phones or use a ‘hands-free’ device. The problem has nothing to do with our hands, and everything to do with neuroscience. Driving a car is a complex cognitive task, even if most of us take it for granted. Our brains aren’t wired to do two such tasks at the same time. We can switch between them, but we can’t do both at the same time. In other words, multitasking is a myth. More complex cell phone use like texting, checking email, or looking up a phone number poses an even greater hazard, because our attention is diverted for a sustained period. A lot can can happen in 130 feet - the distance we travel in just three seconds at only 30 miles per hour, a safe speed in a residential area. 3,328 people were killed in distracted driving crashes in 2012. That’s a number. Learn the reality of three deaths in the brief video here. 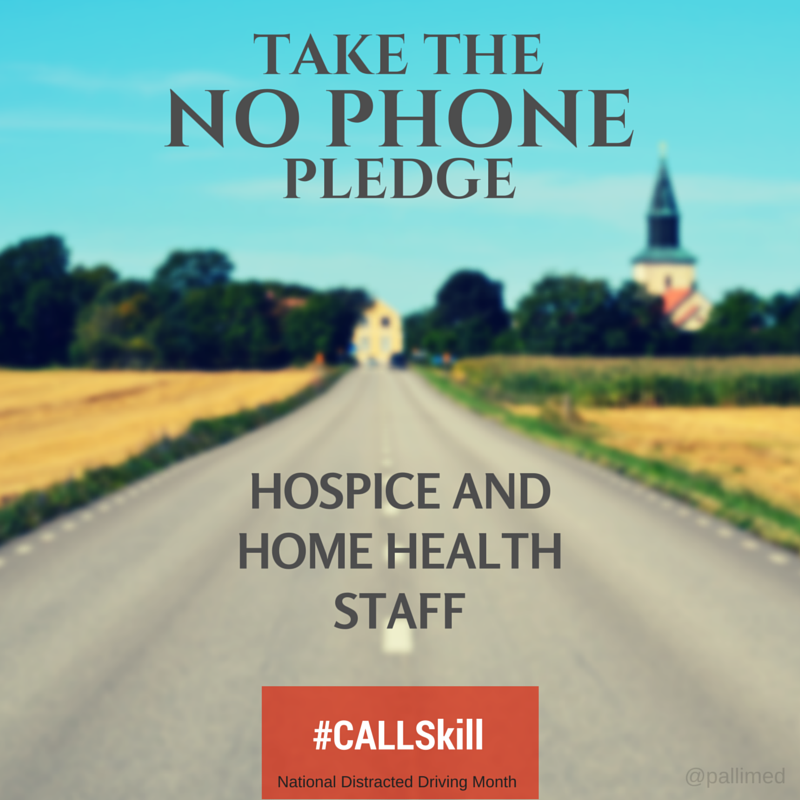 The NSC has also designated April as Distracted Driving Awareness Month, and has issued the Focused Driver Challenge. We’re out there because we’re committed to helping patients and families live better lives in a difficult time. It’s frightening to contemplate how our actions behind the wheel could lead to sudden and traumatic loss for other families - perhaps even our own. Jerry Soucy, RN, CHPN (jerry.soucy- at- gmail.com) has worked with patients and families facing end of life in critical care, hemodialysis, and hospice. He developed and presents “So you’re going to die…” an adult ed course on advance care planning and end of life inspired by an episode of The Simpson’s. He hopes to grow a 500-pound pumpkin this year. David J. Hanson, PhD is professor emeritus of Sociology at State University of New York, Potsdam. He has conducted research on alcohol use for over 40 years, and curates ‘Alcohol Problems and Solutions,’ an excellent web resource that includes this piece comparing the risks of driving while drunk to texting. Car and Driver Magazine - Texting while driving: How dangerous is it? 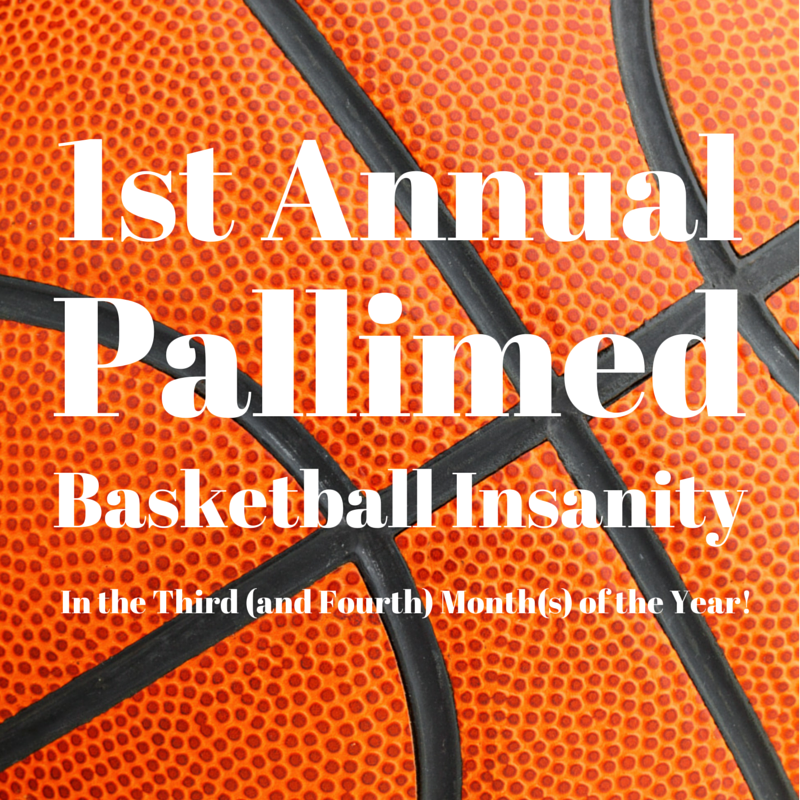 The Pallimed Basketball Insanity in the Third (and Fourth) Month of the Year! Last fall we had quite a fun time with the World Series of Blogs with Geripal (SF) facing off against Pallimed (KC). So with the college basketball tournament coming to the grand conclusion this weekend, we thought we would highlight some of the other rivalries that have cropped up amongst our palliative care colleagues. Similar to the friendly political wagers among mayors and university presidents, I rang up a few colleagues to see if they were willing to offer small tokens of their local finest to each other. Surprisingly, when I suggested the losing side wear the other teams color to work, no one decided to take up that wager. Mulder: If, by some miracle, MSU should happen to lose, I will have an assortment of offerings from our fair state. We may lose an occasional sporting event, but Grand Rapids remains Beer City, USA. The "Pure Michigan" basket will contain a selection of premium Michigan craft beers, including Bell's Oberon, the Short's Huma Lupa Licious, and Founder's KBS, a limited release which annually hits most of the "best beers in the world" list. We'll also include Vandermill Hard Cider, a bottle of exceptional Chateau Grand Traverse Riesling, a bottle of Cherry Whiskey from the Grand Traverse Distillery. In addition, I would offer up a jar of blueberry preserves, a signed photograph of a stunning Lake Michigan sunset, and an MSU stylish tee shirt will round out the stash. Please note that I've picked all of the high quality things that I enjoy, as I fully expect to retain possession of the goods. Good luck, y'all! Tulsky and Kamal from Duke have a counter offer: A selection of specialty items and memorabilia from just a few of the extraordinary Durham spots highlighted in repeated New York Times travel reviews (here and here) of Durham, NC. (Can anyone imaginge spending 36 hours of vacation in East Lansing?) Not to be outdone by the other states whiskeys and bourbons, the package (in the heavily unlikely event that MSU should prevail) would include Barrister and Brewers Mystic Bourbon Liqueur. The winner will also receive Durham’s famous Q shack barbecue sauce, a Durham Bulls hat and a book on leadership by Coach K.
The other key match-up sees Jim Cleary from the University of Wisconsin -Madison Palliative Care program face-off against Todd Cote head of the Hospice of the Bluegrass Palliative Medicine Fellowship program (sponsored by the University of Kentucky College of Medicine). Cleary offers a fine selection of Wisconsin beer and cheese, maybe a tweet from Aaron Rodgers, and a batch of Wisconsin's award winning Kinnickinnic Whiskey. Cote counters with a friendly wager consisting of some of Kentucky’s finest Bourbons including Basil Hayden’s, Woodford Reserve and Lexington’s own, Town Branch. Since he can’t wager a thoroughbred racing horse he will wager a supply of box seat tickets to The Clubhouse during the Keeneland Horse Races. Suit and tie required! The first two games are this Saturday April 4th. The winners will go on to meet in the championship game on Monday April 6th where the same items will be up for grabs. The winners will be very lucky regardless of who wins (or loses). These all sound fantastic. If you are interested in supporting your team of choice you could also consider donating to any of these four great programs. Might be a better use of your money then making a bet. The rumors whispered around the globe have finally been confirmed. In the Fires of Pain and Suffering, A New Hero is Forged. Pain has a new nemesis; his name… is Palliman. Upstart publisher MD Comics is taking aim at media giants DC and Marvel with its latest addition to the superhero world. Issue Number 1: An Empathic Hero Rises is the world’s first glimpse at a long-awaited transformation in the comic universe. This “Cloaked Crusader” is already changing the landscape of 21st century superheroes. 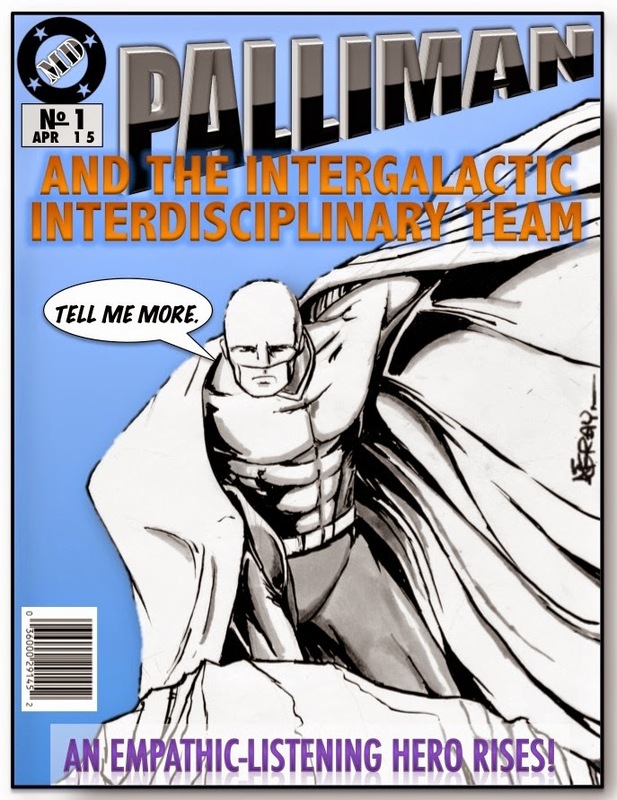 “The lone pain-fighting hero model is outdated; Palliman always works as part of his InterGalactic Interdisciplinary Team and all members offer their special skills,” said Kathy Konsbach, a global marketing representative for MD Comics. Readers will come to love the colorful cast of characters in the Intergalactic IDT – including the resourceful robot social worker “Shield,” the contemplative “Captain Chaplain,” music therapist “Songstorm,” and a whole host of other equally important and mutually respectful team members. Gossip is already flying that the daring rogue acupuncturist “AcuPunk” may make an unconventional appearance in Issue 4. This new look for a comic book hero is giving palliative professionals around the planet a renewed sense of identity and inspiration. “It’s no secret that sometimes it’s hard for palliative providers to explain what we do. Now, Palliman will be there to inspire and educate a new generation. With his rugged cloak of symptom management and his empathically chiseled physique, he makes palliative medicine approachable yet spicy,” said Elaine Smotterman, palliative nurse practitioner. However, education is only a small part of the secret sauce bringing this tasty hero to the plate of readers around the world. Fans say it’s the story that makes Palliman sizzle. “The showdown at the end of the issue, where the Intergalactic IDT squares off against the evil Dark Warrior “Total Pain” on top of the Empire State Building was totally sick!” said 14 year-old Caitlin Grossbin, who has already decided she wants to be a Palliative provider when she grows up. Even in the bleakest hour, an extra layer of support is now just a few pages away.